Separating hurts, but in the case of the Westermoskee it was unavoidable. The period after 2007 is characterized by separation and withdrawal. The mosque administration turns away from parent organization Milli Görüş after a disagreement with their headquarters in Cologne. 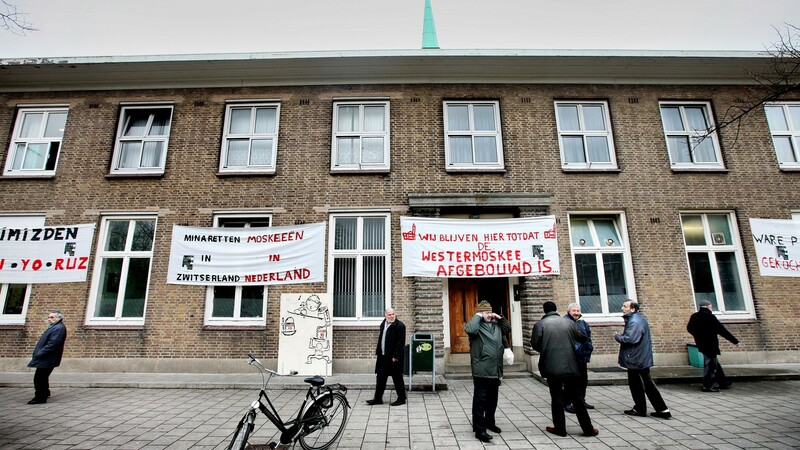 In 2011, the board also says its goodbye to project partner and housing corporation Stadgenoot – formerly Het Oosten. From that moment onwards, the Turks are building their mosque themselves, while Het Oosten is delivering the surrounding apartments. 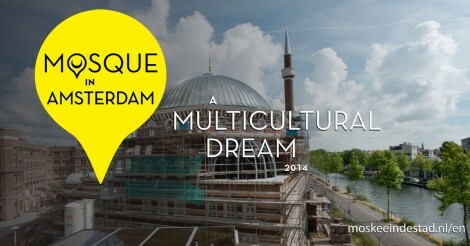 After major disagreements between the mosque administration and the headquarters of Milli Görüş Europe in Cologne about both the construction and location of the Westermoskee, the mosque board is cast out of the movement. Current board member Hüseyin Gündüz narrates the efforts he, earlier mosque chairman Fatih Dağ and other board members have made to turn the tide. After visiting the great leader Necmettin Erbakan in Turkey, they gained new strength to proceed with the construction. 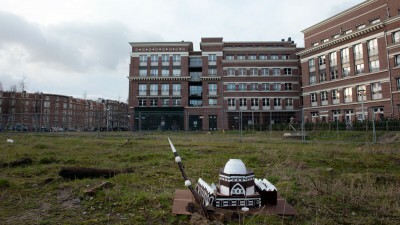 We also go back to 2012, when residents Rob and Marieke visit an informational evening about the construction. Two years later, they look back at the construction process, which went quicker than expected. Initially, these young professionals had a critical eye on the whole project, but now they are very satisfied. 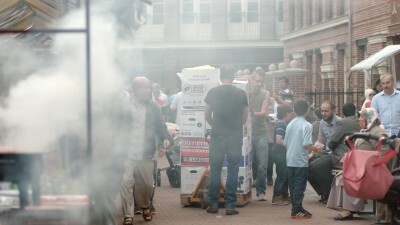 Chairman Dağ organises a new departure on October 16, 2008, also to leave the misery of the past behind. 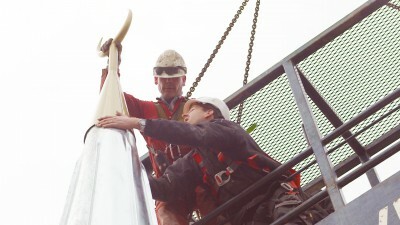 This ‘new beginning’ takes place with a symbolic strike of a foundational pole into the ground. The mosque community is present, the media are invited as well, but representatives of the housing corporation and the district are nowhere to be seen. 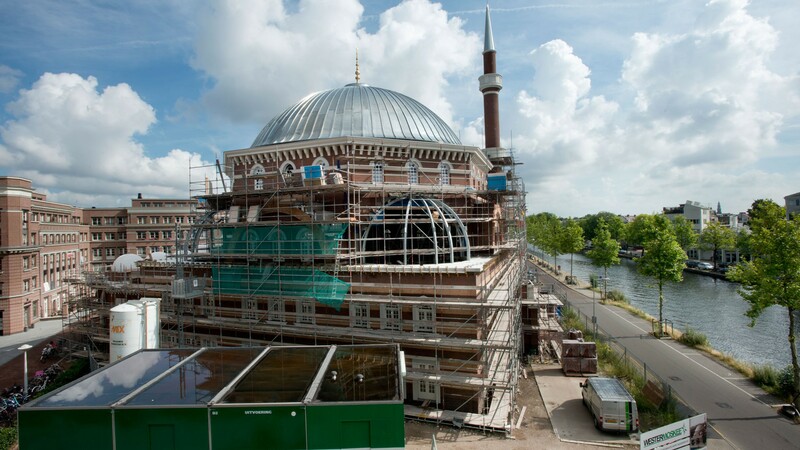 This is a final attempt of Aya Sofya Association to make a start on the construction of the Westermoskee, but apart from them, almost no one believes that the mosque will actually be built. 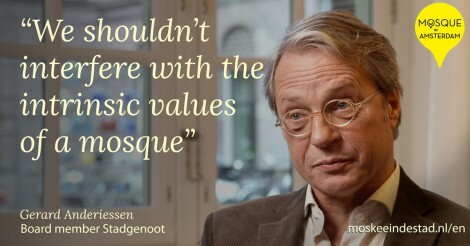 When director Frank Bijdendijk leaves in 2011, Het Oosten, now renamed Stadgenoot, changes its course. 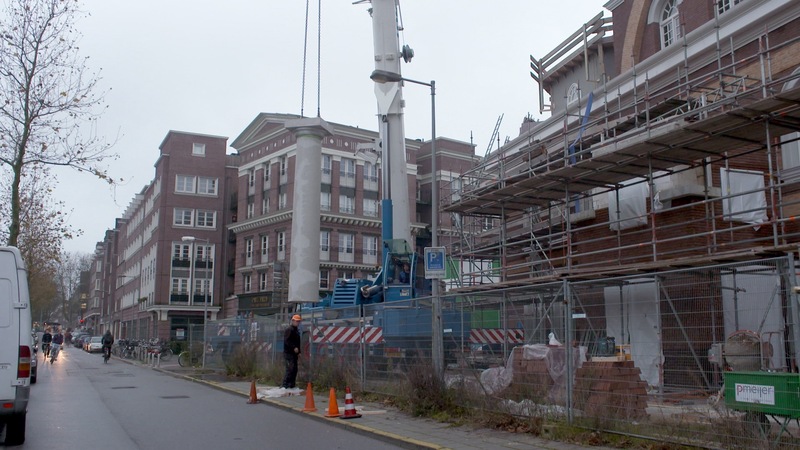 Until recently, the corporation was still involved in lawsuits concerning the construction of the mosque and surrounding apartments, but under the leadership of new director Gerard Anderiesen that has to change. 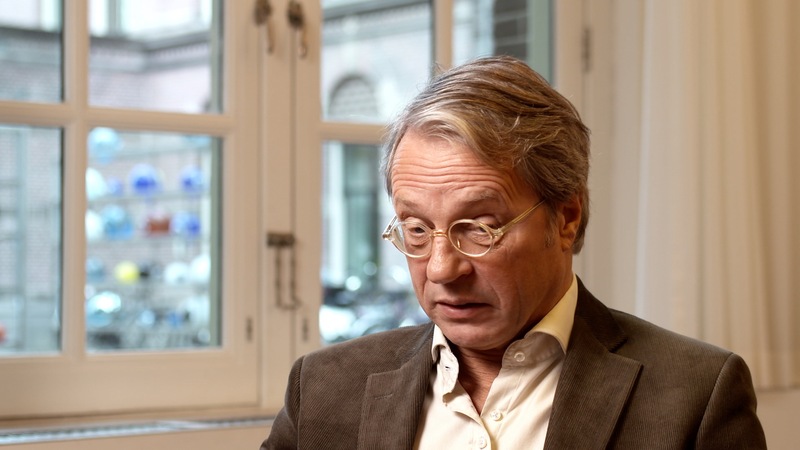 He wants to stop working with Aya Soya altogether, while Stadgenoot still pursues a lawsuit with regard to a pre-investment of 1.7 million made by the Turks. The corporation claims it doesn’t have to reimburse this money, but a judge rules that Stadgenoot is required to repay this sum. 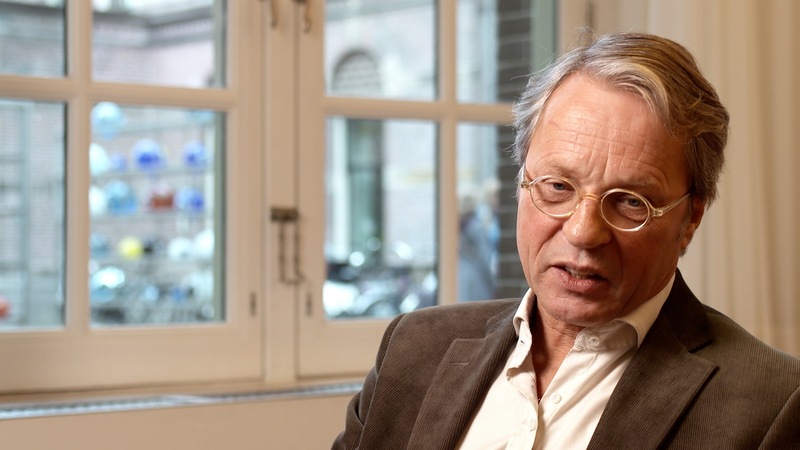 With the departure of Bijdendijk, the project rebuffs the idea of integration that had always remained Bijdendijk’s vision. After the separation, both parties can complete their part of the project in their own way. From 2009 onwards, Godfried Lambriex of the Labour Party (PvdA), district chairman in De Baarsjes and future councillor for district Amsterdam West, becomes politically responsible for the Westermoskee. 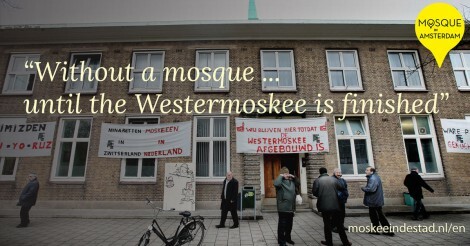 Looking back on the ‘Working on the Future’ agreement made by his predecessor Arco Verburg and intended to influence the religious direction of the future mosque, Lambriex concludes that the municipality has crossed the line of the separation of church and state. 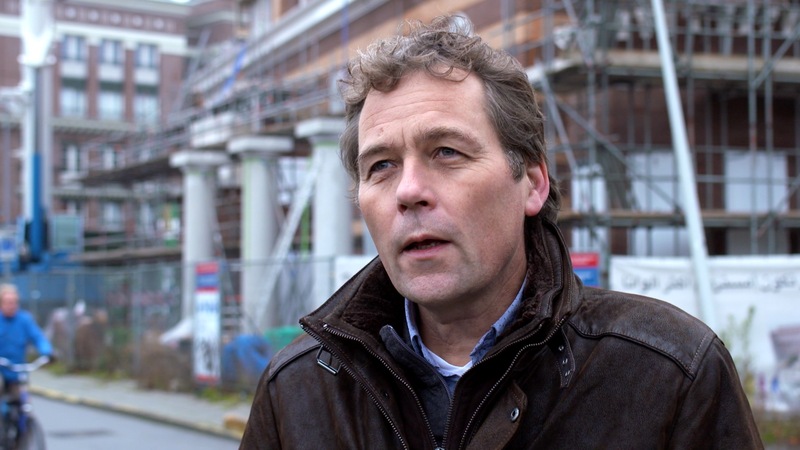 For Gerard Anderiesen, current director of Stadgenoot, the housing corporation has exceeded its authority in the Westermoskee project. In hindsight, Anderiesen states that it is not the task of a housing corporation to interfere with the direction of a house of prayer. 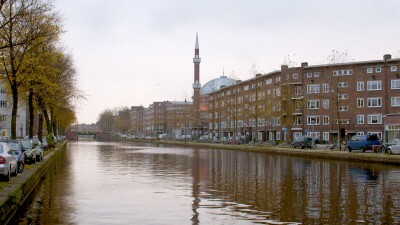 While the old Riva buildings are demolished in 2005, Het Oosten provides the Turks with an alternative location for their mosque: the former ‘Brother House’ at the nearby Postjesweg. Because of their fight, the housing corporation is reluctant in renewing the lease in 2007. Using legal procedures and official protest, the mosque administration manages to extend their stay until the end of 2010, when the final curtain is drawn. 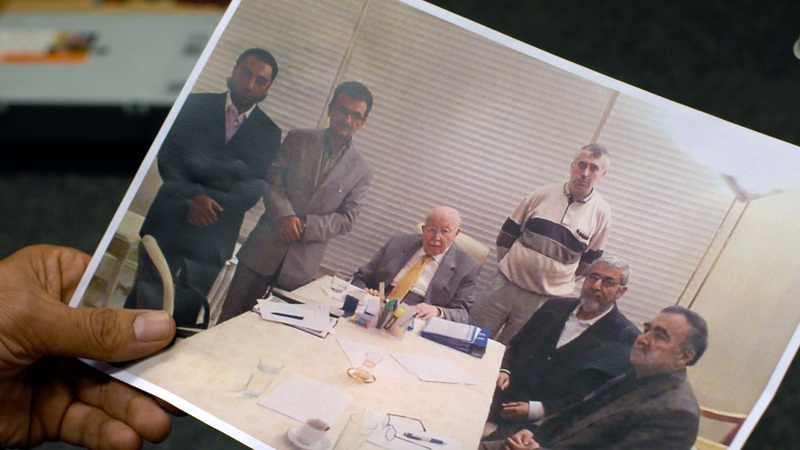 During the following years, the believers luckily find accommodation in the gym of the Islamic College of Amsterdam (ICA) and in the space of former furniture store ‘Het Knolletje’. Ultimately, they also have to leave these places, after which they are ‘homeless’. This situation continues until this day and will only be resolved when the Westermoskee opens.